Welcome to Ghost Island—what the creators like to call “Jurassic Park but with ghosts”. 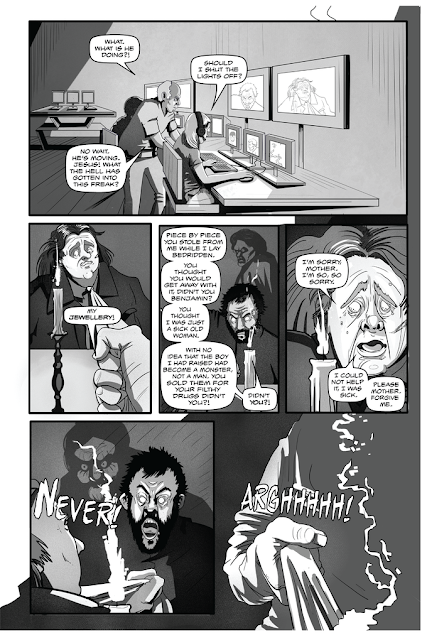 This Kickstarter is for funding the first 3 issues of the 5 issue black & white supernatural horror comic mini-series. Get ready for their grand opening! Ghost Island is about a wealthy entrepreneur planning on opening a theme park on an island he has filled with his collection of imprisoned ghosts. But right before the opening, he brings a small group of people to the island in order to assist him, including troubled psychic Josh Evans. And while Josh has been accused of horrible things after his wife disappeared, now he must face the evil minds of the ghosts on the island. 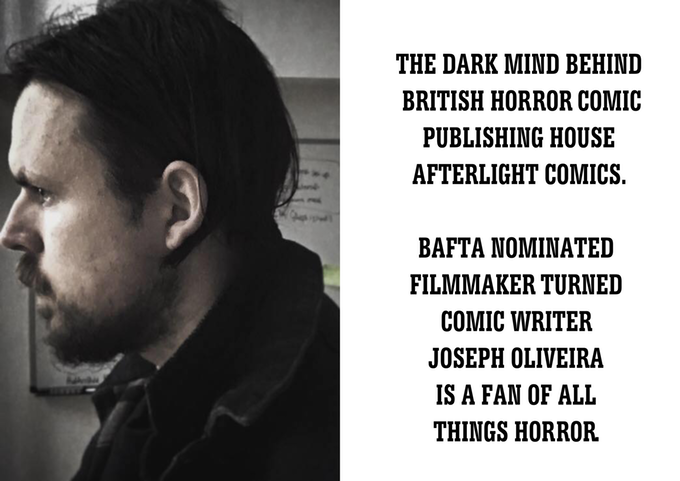 The series is written by Joseph Oliveira, the person behind British Horror Comic Publishing House Aftrerlight Comics. Oliveira is also a BAFTA nominated filmmaker. The artist is Anabela Turlione, who got her PhD in physics in 2015 and decided to devote herself to drawing instead. 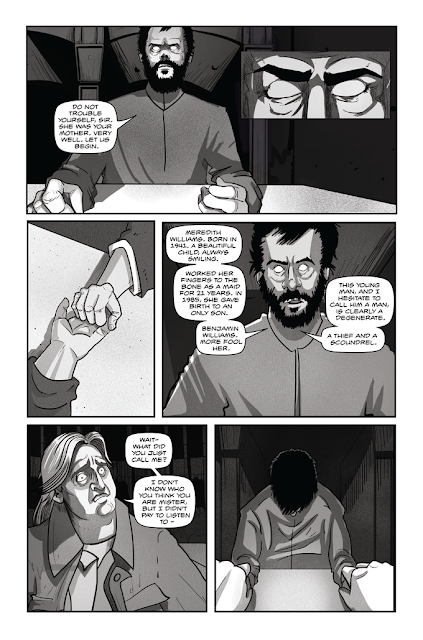 The first three issues of Ghost Island will be successively funded if the Kickstarter reached its $2,164 goal by May 25, 2018 at 5:00 AM EDT. They’re even offering the first issue for free here. Rewards for the project include digital (£6) and signed physical (£18) copies of the first 3 issues of Ghost Island as well as various options for posters (£24) or t-shirts (£24). You can see the rest of the rewards on their Kickstarter page. I interviewed writer Joseph Oliveira in-depth about his island full of ghosts. Me: What about Jurassic Park inspired you to create this horror story? Oliveira: It wasn’t actually intentional at all; really the link came to Jurassic Park afterwards. I was sitting at a comic convention with a friend at a comic con explaining to him the story of Ghost Island to pitch to someone if I were to go for a toilet break and he replied to me “Oh so it’s Jurassic Park but with ghosts.” I honestly hadn’t made the link until that moment. Me: You mention a small group of people who come to the island—how would you describe each of the people in this group, as well as the entrepreneur behind the island? Oliveira: You have a psychic, a priest, a non-believer and his son, and two reporters. Each of them bring a very interesting dynamic to the story as they’re all from such different backgrounds. The scenes between different characters really feel fresh and tangible. Me: Who are some of the ghosts we can expect to see lurking around Ghost Island? Me: If you had the choice between going to Jurassic Park or Ghost Island, knowing what could go wrong will go wrong, which island would you go to in the hopes of having a better chance at surviving? Oliveira: Now that is a tough one! I’m going to go with Jurassic Park! With Ghost Island there’s this sinister undertone and lingering mystery of the whole place that I certainly couldn’t see myself lasting a night there. Me: What inspired you to initially create AfterLight Comics and what is the publisher’s mission statement? 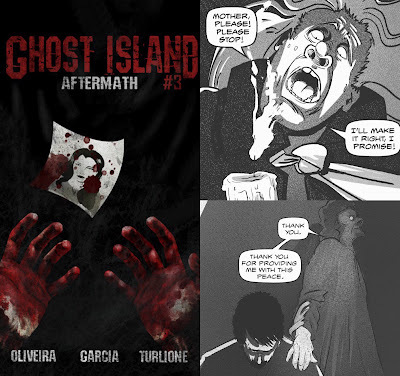 Oliveira: My first comic was Ghost Island and since then I started getting new ideas and wanted to really be recognized under a certain brand. That’s where AfterLight Comics came in. Our latest successful horror title was Folktales Of The Cryptids. 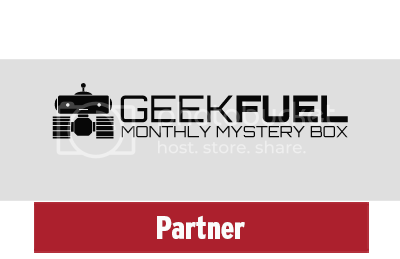 The mission statement is that we’re the place to bring you the best horror stories told when the lights are out. We’ve got so many more interesting scary projects coming up we’ll be announcing soon. Me: You also worked as an award-winning filmmaker. Why did you decide to transition from filmmaking to comics and what have been your favorite aspects of each? Oliveira: I just found the entry level to comics so much easier. With filmmaking most of the time you need this big gigantic team of people, lighting, sound, cameraman, editor, etc. With comics it can literally be you and the artist and I love that. Things don’t get lost in chains of command and you can really get your vision across. Me: Some of the rewards include other AfterLight titles. Can you tell us a bit about these other titles and why people who enjoy Ghost Island would enjoy them as well? Oliveira: So Folktales Of the Cryptids was our last successful comic Kickstarter where it’s four short horror tales each based on a Cryptid legend. It’s been described as Fantastic Beasts as written by George A. Romero. Me: What do you think is the number one reason why people should pledge money to Ghost Island? 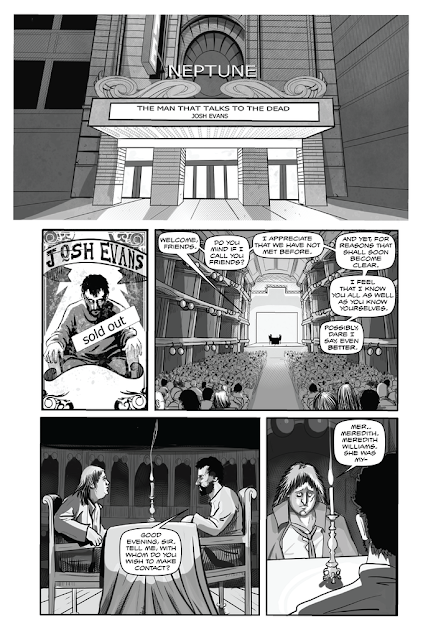 Oliveira: If you enjoy horror, mystery, and the supernatural this will be a genuine read I’d hope you’d enjoy. 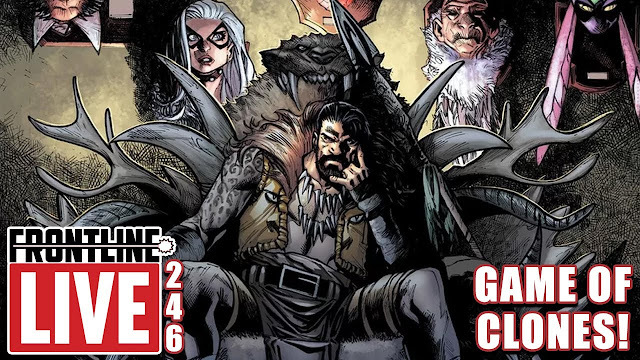 It plays out like an episodic series and after reading and getting to the end of the first issue I’ll guarantee that you’ll want to find out what happens next. 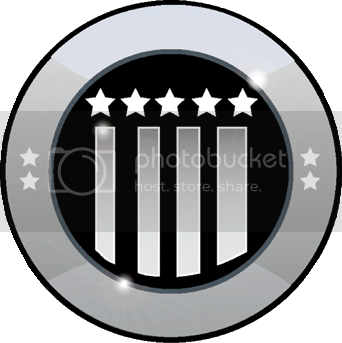 Oliveira: Be the hardest worker you can be and you’ll get the rewards. Me: Thank you for taking the time to share your ghostly trip with us! 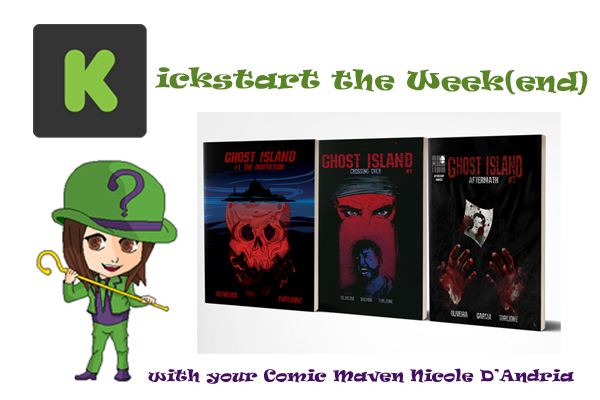 If you’re reading this and interested in taking a journey to a haunted island, check out the Ghost Island Kickstarter here.